Rev. Alfred H. Cooper was the seventh child of nine siblings born to the late Elzie L and Etta J. Cooper on December 21, 1928 in Hale County, Sawyerville, Alabama. He attended and completed high school in Hale County. During his youth, he confessed and accepted Christ as his Lord and Savior at Liberty C.M.E. Church in Sawyerville, Alabama. He attended and completed high school in Greensboro, Alabama. Rev.. Cooper went to Alabama Agriculture & Mechanical College which is now Alabama Agricultural and Mechanical University Normal, Alabama. While attending Alabama A&M, he met the love of his life and married Miss Edith J. Horton on June 14, 1953. He earned his Master's Degree from Tuskegee Institute (now Tuskegee University) in 1966. After graduating from A&M University, he taught at Choctaw County Training School, Hale County Training School. In 1955, he came to Alexander City, Alabama to establish and Agricultural Program at Laurel High School. Rev. Cooper remained in that capacity as an Agricultural Instructor and served as Senior Class Advisor until 1968. Because of his arduous work, dedication to education and development of students, he was promoted to Assistant Principal at Laurel High School then moved to Alexander City Junior High School until 1983. Because of his love of sports, he started a little league baseball team which had its origin in the backyard at his home on "J" Street. With the support of local businesses, community and local Masonic Lodges, the team received uniforms. The teams were named Piggly Wiggly Braves and Imperial Lodge Dodgers. The games were moved from the backyard to the Laurel High School Football Practice Field. These teams played and competed with other Little League and Pony League teams in the local area and surrounding counties. In 1969, Laurel Recreation Center was built. Youth, young adults sports which included baseball, men and women softball teams and basketball teams were formed. In 1996, Laurel Recreation Center was renamed "THE COOPER COMMUNITY CENTER." where he served as the Administrator of the Laurel Recreation/Cooper Community Center for over 30 years. After he retired from 30 years in the Alexander City School System, Rev. Cooper served 20 years on the Board of Education. In 1997, Rev. Alfred H. Cooper was inducted into Alabama Agricultural & Mechanical University Sports Hall of Fame. 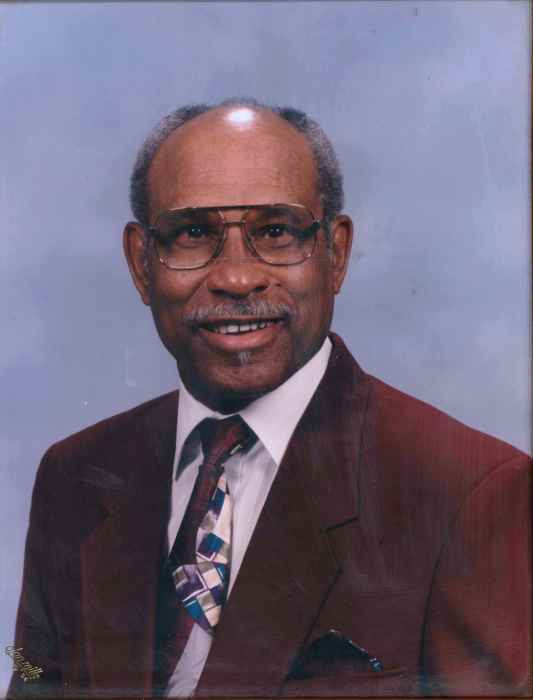 As a member of Haven Memorial United Methodist Church, he served as Sunday School Teacher and various other positions. Rev. Alfred Cooper accepted the call into the ministry and attended Emory University, Candler School of Theology. He served as pastor for several churches in the Roanoke District which is now Southeast District and was an active pastor for over 40 years. Without doubt or contradiction, he was a man of Great Faith and embodied the life of a true disciple which enabled him to lead by example, develop many young men & women to become productive individuals in their respective fields of work and life. He was preceded in death by his parents: Mr. Elzie and Mrs. Etta J. Cooper. Brother, Woodrow E. Cooper, Sr., sister, Mable E. Cooper, brother, Rev. Elzie L. Cooper, Jr., brother, Marcellous Cooper. brother, Thaddeus Cooper, Jr., sister, Etta J. Cooper, brother, John A. Cooper and sister, Marjorie A. Cooper. Reverend Alfred H. Cooper is survived by his wife of 65 years, Mrs. Edith J. Cooper, Michael A. Cooper (Audrey) of Toney, Alabama, Ron Cooper Bey (Pamela) of Louisville, Kentucky. Grandchildren: Tanisha N. (Deion) Newby of Kennesaw, Georgia, Michelle A. Cooper of Huntsville, Alabama, Alfred B. Jennings of Meridianville, Alabama. Great grandchildren: Tyler Newby and Kendle Newby. Nieces, nephews, great nieces and nephews and great great nieces and nephews, cousins, and other relatives.